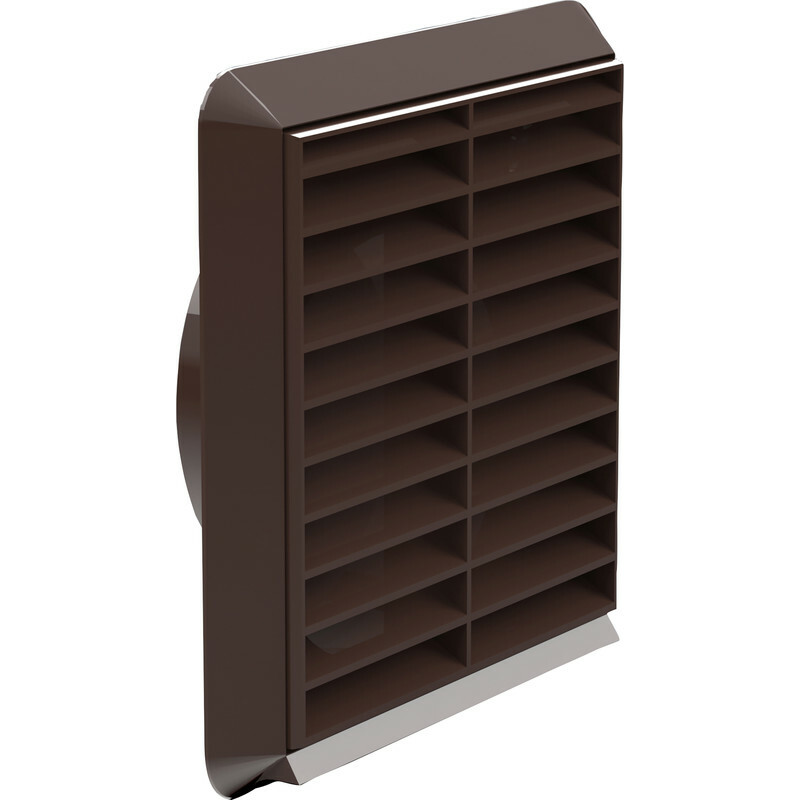 Round Ducting Louvred Grille 154 x 154mm Brown is rated 4.7 out of 5 by 15. Rated 5 out of 5 by DaveB65 from Perfect for the job in hand Exactly what I was looking for. Very good price and prompt delivery! Rated 5 out of 5 by Geoffsailor from Exactly as described Fitted exactly where old broken one had been, Easy t remove cover to screw on backplate then refit. Rated 5 out of 5 by juraj13 from Great decent quality, easy to fit, well priced I used this product indoors, perfect quality, very good price. Rated 5 out of 5 by L0rrieyw from What I needed Replaced yellowed old cover. Looks clean and fresh again. Easy to fit. Very good price. Delivered promptly. Rated 4 out of 5 by docmatt from Good decent bit of kid, does the job, the round flange on the back grips the 100mm flexi pipe well, we used it to extract the smells from marley's bedroom as there was a severe smell and damp issue, it's better now.